Borderland, a ballet choreographed by Price Suddarth. 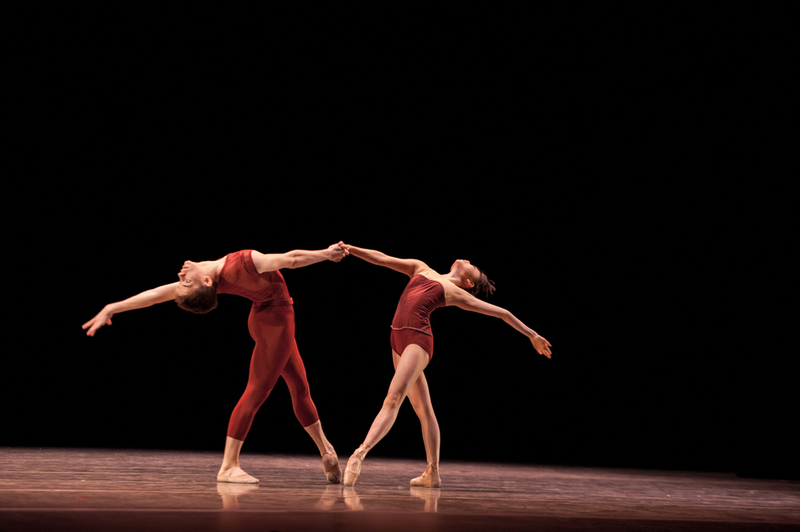 Premiere: Pacific Northwest Ballet's Next Step Performance June 13, 2014. With music by J.S. Bach, costume design by Larae Hascall and Pauline Smith and lighting design by Randall G. Chiarelli. Borderland: the state of being where the mind is caught between two realms-- awake and asleep. The ballet opens on four dancers, as if from a dream, emerging out of the darkness. In following the unpredictable path of a dream, they travel back and forth between hauntingly silent tranquility and explosively manic tension. The work invites the viewer to remove themselves from the predictable and immerse themselves instead into this rapidly changing experience. Madison Sugg, Borderland by Price Suddarth. Photos by Rex Tranter. Madison Sugg, Borderland by Price Suddarth. Photos by Rext Tranter. Saho Kumagai and Dylan Wald, Borderland by Price Suddarth. Pacific Northwest Ballet Next Step. Photos by Rex Tranter.